Students stand in line to register for the Muslim Students' Association's Fast-a-thon event. 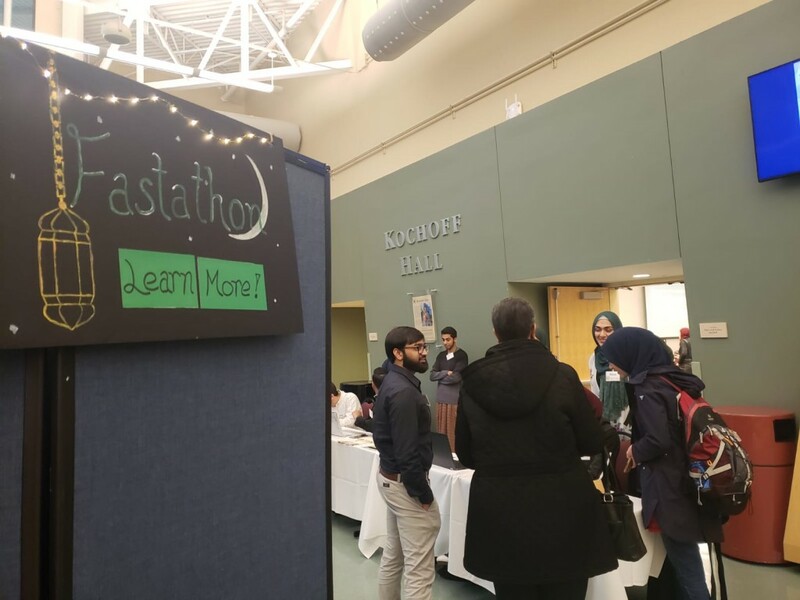 Attendees of the Muslim Students’ Association’s sixth annual Fast-A-Thon took their first bite of the day prior to sunrise on Wednesday and prepared for a 13-hour fast. The event, put on by the Muslim Student Association and co-sponsored by various CASL organizations, was designed to raise money for efforts to end hunger both near and far. Half of the money raised went to the Zakat Foundation’s “Us Against Hunger” initiative and UM-Dearborn’s campus food pantry. An extended fast for the occasion was designed so that its participants could empathize with those that don’t have the means or access to food or water for just one day. 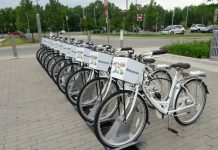 Nearly 150 people participated in the event, although the amount raised has not been finalized following the event. Last year, the event raised $2,700, inspiring a goal of $3,000 for Wednesday’s event. The fast followed the outline of a traditional Islamic fast akin to fasting during Ramadan. That includes restricting oneself from all food and drink from dawn to dusk—including water. The formal event ran from 6:30 to 9 p.m. in the combined Kochoff Hall wand included a formal dinner catered by Wayne Tree Manor and a keynote address from Shaykh Mohammed Ishtiaq, the former chaplain for the University of Michigan-Ann Arbor. Shaykh Mohammed Ishtiaq addresses the crowd during Fast-a-thon. In his address, Ishtiaq spoke about the importance of an inclusive community, specifically the Muslim community. Just mere days after the mass murder of Muslims worshipping inside two mosques in Christchurch, New Zealand, Ishtiaq called for unity. 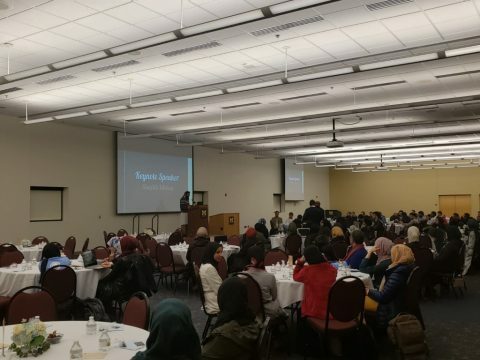 Ishtiaq’s speech played into the goals of the host organization, as UM-Dearborn’s chapter of the MSA is devoted to students learning about each other. MSA president Tasfiah Islam explained the purpose of her organization. 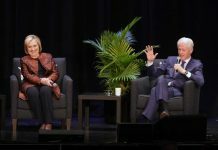 “We try to connect Muslim students with each other and have a community where students can learn from each other and learn from Muslim scholars and community members more about Islam,” she said. 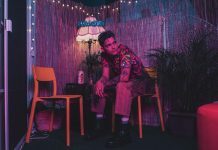 The organization did not keep any of the proceeds from the event it sponsored, although there were worries prior to the event about its funding. 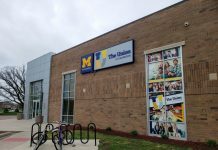 Two weeks ago, the UM-Dearborn Student Organizations Advisory Council (SOAC) announced it could not fund any further student events this semester. The council, which is responsible for allocating on-campus student-led programming, left organizations hanging with the announcement. 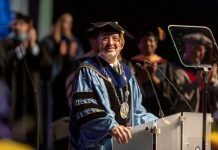 According to the MSA, Martin Hershock, the Dean of the College of Arts, Science and Letters (CASL) and Ann Lampkin-Williams, interim dean of the College of Education, Health and Human Services (CECS) helped cover the remaining costs to hold the event. Other co-sponsors included the Jewish Student Organization and student government. The Zakat Foundation, which will receive half of the money donated by participants of the event, sends food packages to those in need, averaging 16 million meals to those in need each year. 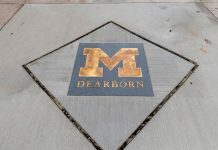 UM-Dearborn’s student food pantry, which will get the other half of the money raised, was dedicated to the campus in January 2013. According to the university, it has distributed nearly 4,000 pounds of food to students in need, raising 4,500 pounds of food and toiletry items since its opening. Students are eligible for aid from the food pantry if they are currently enrolled and have a valid UM-Dearborn student ID. The pantry is open Monday through Friday from 9 a.m. to 5 p.m. and can be accessed from the Office of Student Engagement at room 2136 in the University Center.